Each healthcare entity has to comply with the HIPAA Security Rule, and group health plans are no exception. In fact, you may need to be more prepared than other covered entities, as you tend to be the ones under more scrutiny. Being someone who provides or pays for the cost of healthcare, you have to adhere to and implement every standard and requirement set by HIPAA. If you don’t, which will be discovered during an audit, you risk being fined millions of dollars and possible jail time for noncompliance. You shouldn’t have to worry about either of those risks, nor should you have to spend all your time stressing over learning the complexity of HIPAA requirements and making sure you meet all of them. So what’s the solution to your problems? HIPAA One®. This online software tool is affordable, automated and easy to use. 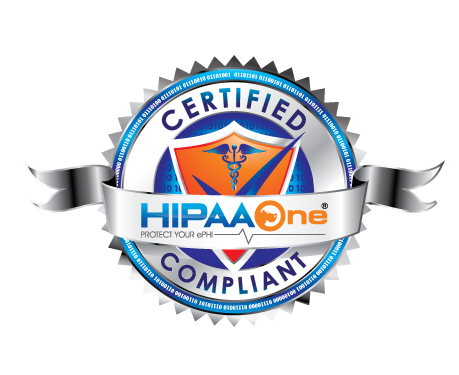 Using HIPAA One®, we can tailor the depth and breadth of the organization’s compliance and security risk. Regional locations, complex parent-child GRC (Governance, Risk and Compliance) relationships can be handled. Collaboration with risk and compliance staff is easy when the software collects, analyses and provides standardized, consistent data results. The software is scaleable to handle any size and number of internally-developed applications. With this system you can perform a HIPAA Security Risk Analysis that reviews your plan and helps you find out if your risk assessment procedures for the security and privacy of ePHI meet HIPAA standards and requirements. It’s a self-assessment you can complete within a matter of days, and it’s time well spent on your part. Why else should you select HIPAA One®? Because it’s been successfully used in health plans in various states with a 100% success rate in responding to state and federal regulatory mandates. Those who come to you to use your group health plan want to know their PHI is safe and secure. When you use HIPAA One®, you not only remain HIPAA compliant but also can truthfully reassure your clients that their information is secure under your health plan. Need help with the next steps? Have one of our auditors help walk you through the process. Contact us today to speak to an auditor.